A week after three successful test firing of short-range air-to-air defense system Israeli Spyder, the Indian Navy has conducted the successful test of medium range surface-to-air missile Barak 8 from the INS Kochi, a Kolkata-class guided-missile destroyer. New Delhi (Sputnik) — The test was conducted on Wednesday by the Navy, which validates the integration of the missile and the associated fire control system with the indigenously developed ship-borne combat management suite. "This firing not only marks a significant milestone in proving the integration of the missile and the associated fire control system (FCS) with the ship-borne CMS, but also demonstrates the vital area defense capability of the ship," an Indian Navy statement said. 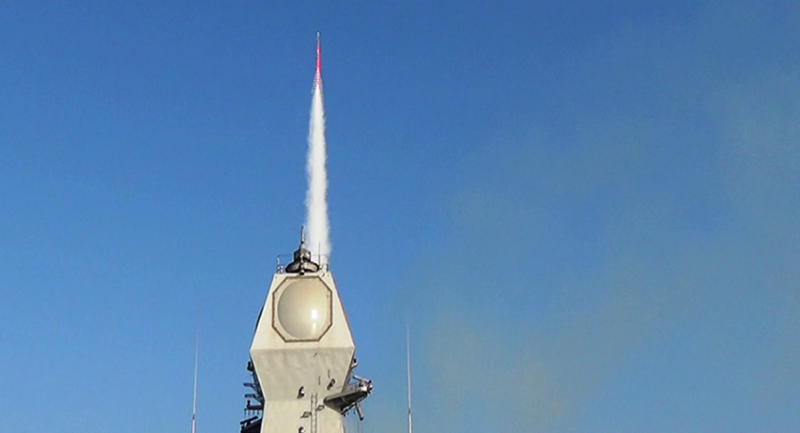 The missile also tracked a low-flying high-speed target at enhanced range with pin-point accuracy. Barak 8 is an advanced air defense system being jointly developed by Indian government-owned Defence Research & Development Organisation (DRDO) and Israel Aerospace Industries (IAI). The 4.5-meter-long missile can carry a payload of 60 kg. Missile system also includes a multi-functional surveillance and threat alert radar for detection, tracking and guidance of the missile. It is powered by a dual-pulse solid propulsion system developed by DRDO. India had signed an over $1.6 billion defense contract with Israel Aerospace Industries for supplying advanced medium range surface to air missiles and missile defense systems to the Indian Army. The missile will be produced by Bharat Dynamics Limited (BDL) in partnership with L&T, Bharat Electronics Limited (BEL) and others Indian companies. It is expected that major part of the Barak 8 production would be undertaken in India in a bid to save costs.